This custom D3 fixed blade from Black Dragon Forge features a thick, full-tang blade made from durable 5160 steel with deep notched jimping and a hammered finish. 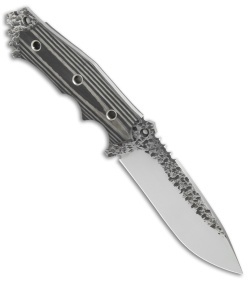 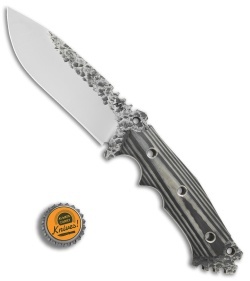 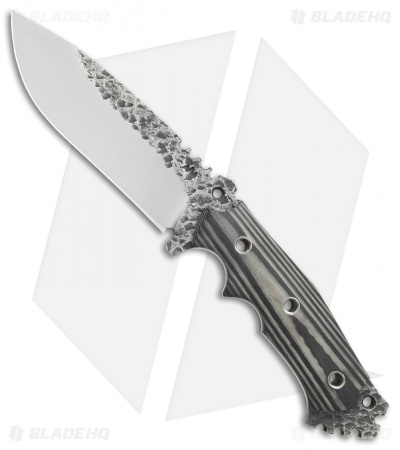 Its handle is fitted with black/gray G-10 scales and a lanyard hole. 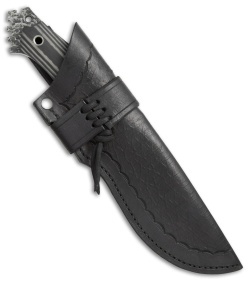 The D3 includes a custom leather sheath for secure storage and belt carry.